This recliner rocks....!! 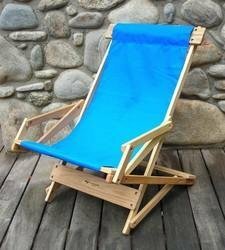 By the pool,on the deck or at the beach,the rugged construction and ingenous design of this chair will provide years of comfort, relaxation and enjoyment.It's stylish, easy to use, easy to fold up, easy to store. The very durable construction features solid Ash hardwood frames, finished with beautiful Danish Oil, all stainless steel hardware and fade resistant heavy polyester slings. 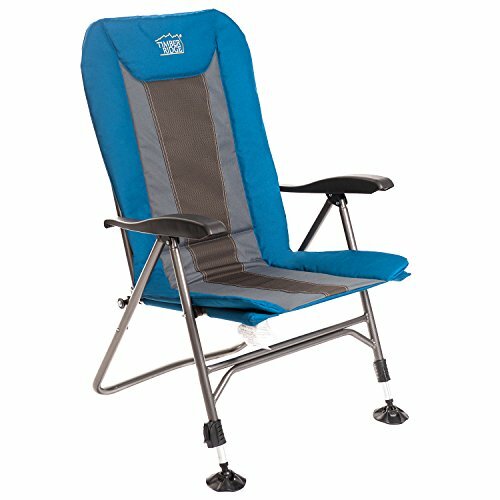 The design of the sling recliner allowes it to lean forward while getting in or out,yet provides plenty of support while reclining, and cannot tip over. 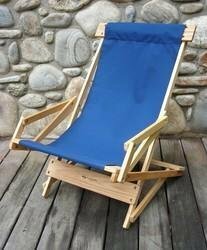 SRCH03WN Fabric: Navy Blue Features: -Recliner.-Stainless steel hardware.-Comfortable polyester seat back.-Chair folds up flat for easy transport and storage.-Made in the USA. Construction: -Ash wood construction. 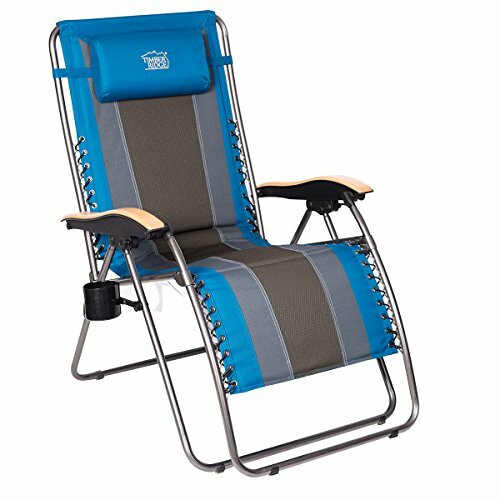 Dimensions: -Dimensions: 39'' H x 26'' W x 26'' D.
SRCH03WA Fabric: Atlantic Blue Features: -Recliner.-Stainless steel hardware.-Comfortable polyester seat back.-Chair folds up flat for easy transport and storage.-Made in the USA. Construction: -Ash wood construction. 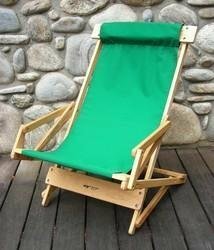 Dimensions: -Dimensions: 39'' H x 26'' W x 26'' D.
SRCH03WF Fabric: Forest Green Features: -Recliner.-Stainless steel hardware.-Comfortable polyester seat back.-Chair folds up flat for easy transport and storage.-Made in the USA. Construction: -Ash wood construction. Dimensions: -Dimensions: 39'' H x 26'' W x 26'' D.
Deluxe three-position recliner loaded with features and ergonomically designed. The back and seat are formed for comfort and support. Owners will appreciate the articulating headrest that supports the head and neck. 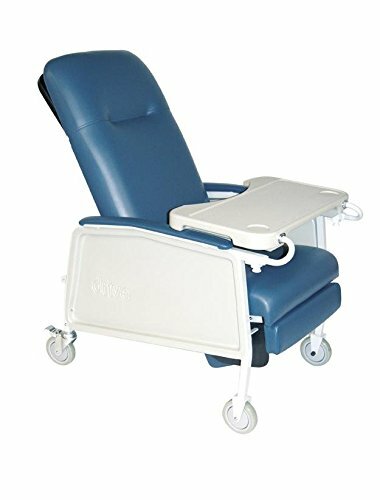 The full-recline, leg-ottoman elevated and full upright positions provide maximum comfort for residents. Three easy-to-attain positions: sitting, elevated leg or full recline. Blow-molded table can either slide on and off or can be locked in one of five positions. 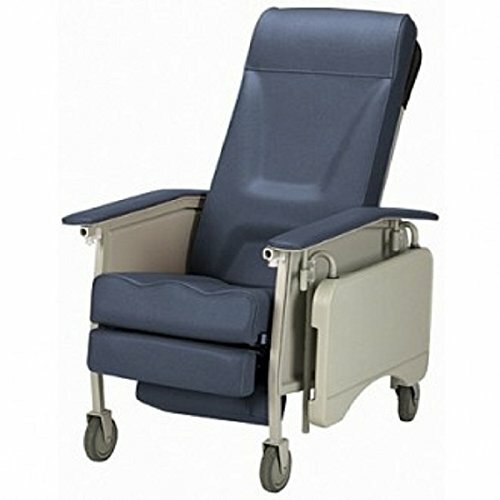 Ergonomically designed seat and back and articulating headrest maximize individual comfort requirements. Zinc plated caster horns for improved rust resistance. Special woven padding on back and seat reduces the risk of "bottoming out". Fire retardant foam and glue. 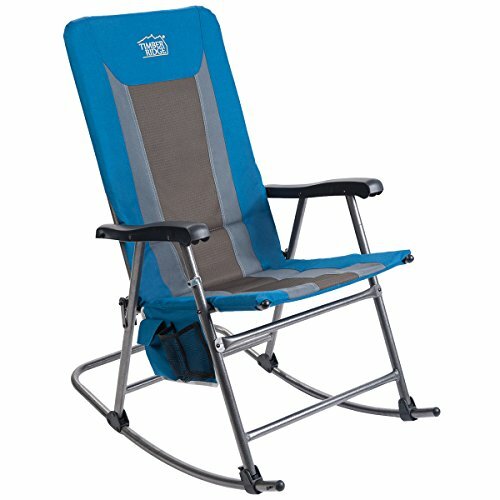 Copyright © Wholesalion.com 2019 - The Best Prices On Blue Ridge Recliner Online.